Let's be honest. Carter's cake was so awesome that it will be showcased in a post all its own. 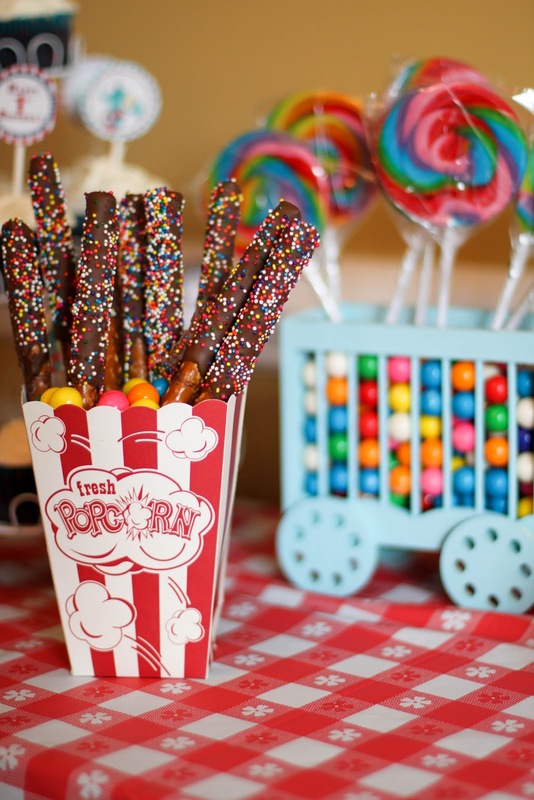 In the meantime, here are a few pictures of the food stuffs that helped make Carter's party such a hit! 1. yes, you're seeing things correctly. this would be the industrial hot dog roller that made an appearance at C's party. and yes, it belongs to my parents. and yes, it's awesome. 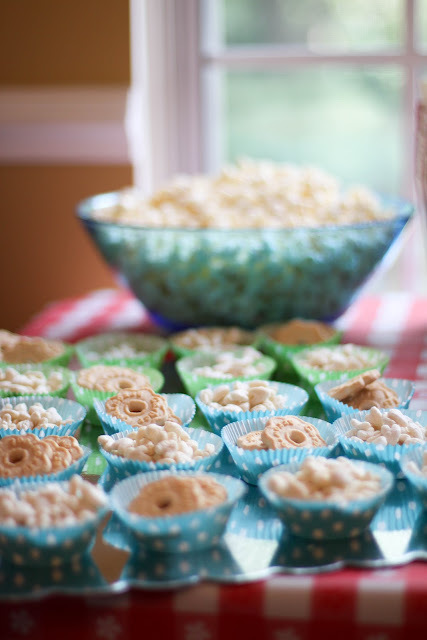 2. for the kiddies, Puffs and toddler Cookies were out for easy access throughout the party. little hands loved scooping the colorful cupcake liners up and enjoying some of their favorite snacks! 3. have you ever been to a circus or a carnival that didn't sell popcorn? me either. these vintage popcorn boxes were purchased at my personal mecca, Hobby Lobby. They can also be found at HomeGoods. 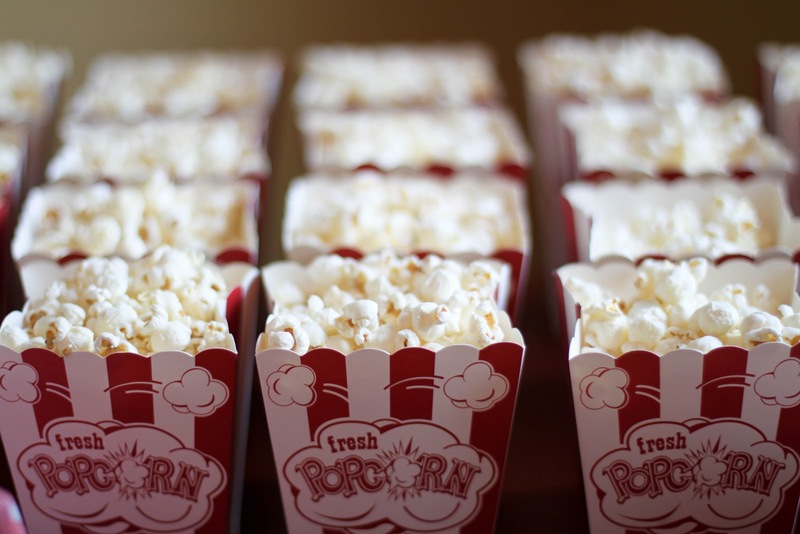 it's been almost one week post-party and my house still smells like popcorn. 4. delicious. that's all you need to know. 5. even more deliciousness. there, i said it. Happy Tuesday, Loyals! 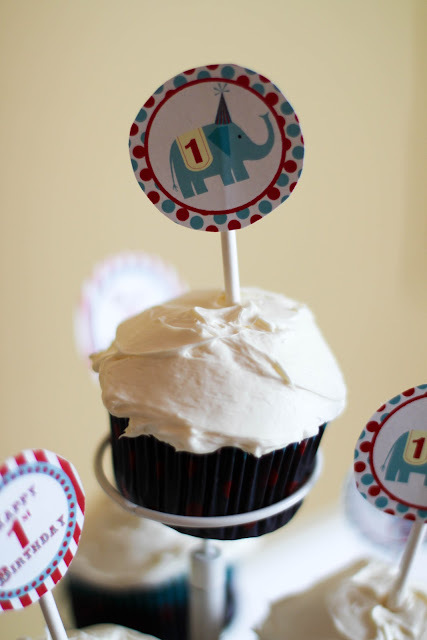 In honor of tomorrow's typical Wee One Wednesday, I'll be sharing a post full of Carter in all of his First Birthday Party glory! AP, you are Mother of the Year!! This 1st birthday party was better than my wedding! Well done Ashley! You did a great job!!!!! Everything is so dang cute! I love the theme and how you ran with it so well! I love your cupcake tree! i love that your parents have an industrial hot dog roller, who has that? pure awesomeness at it's finest. Amazingggggg! 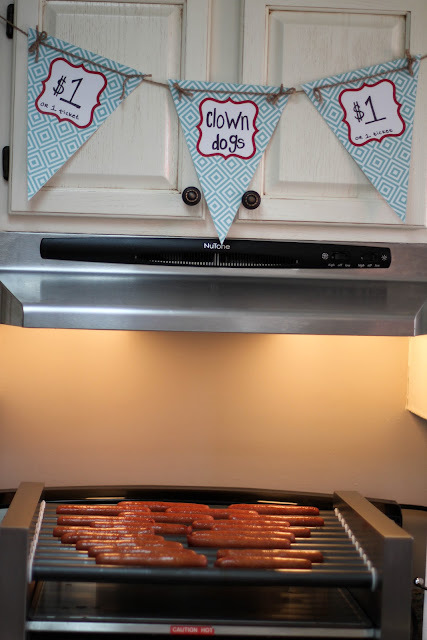 I want that hot dog roller. For myself. For lunch. You did an AWESOME job!! Everything is so cute. I love all of the details! It looks like it was an awesome party!!! :) I can't wait to see the post with the photo op's! Love that idea. I totally need that drink dispenser too. I've been looking for the perfect one that isn't $800... I bought one at target but it was a total bust. You were smart going with more low key food options. I mean really, a hot dog roller? Genius! We're planning a full BBQ lunch for almost 40 people. And I don't have any time off work this week. To say I'm stressing would be the understatment of the century. Wanna come to KC and be my personal party planner?!?! PS My family owns THREE entire warehouses full of wine and champagne from all over the world. Have I convinced you yet?? Um, my baby isn't even here yet and I was wondering if I could hire you for his first birthday party for planning and decorating and cooking?! NOT EVEN KIDDING! Love it all!!!!!!!!!! Nearly as gorgeous as the birthday boy himself. Well done you. Girl, I love your attention for detail. Your lil man is so lucky to have such a fun and creative momma!